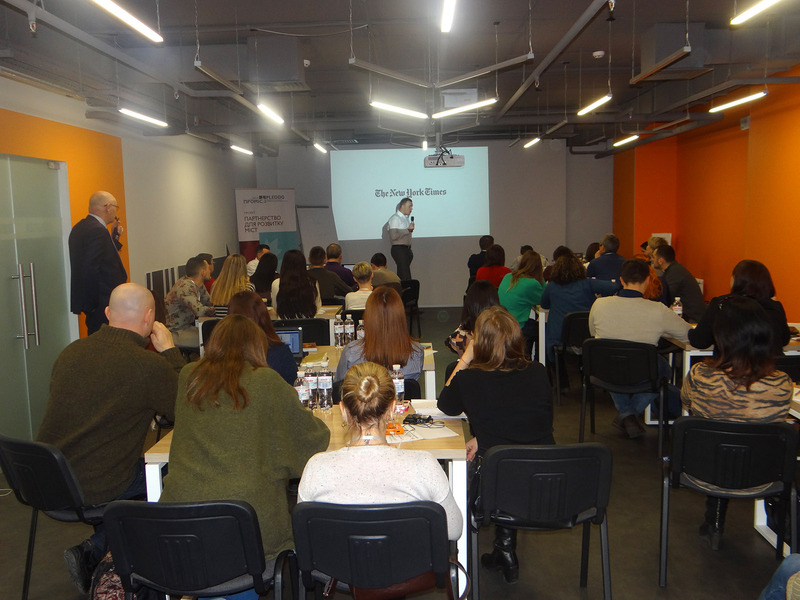 On February 6-7, 2018, PLEDDG Project delivered a two-day training on “Trustworthy and Reputable Journalism: New and Conventional Media Technologies and Local Government Reporting” for journalists from PLEDDG partner cities. 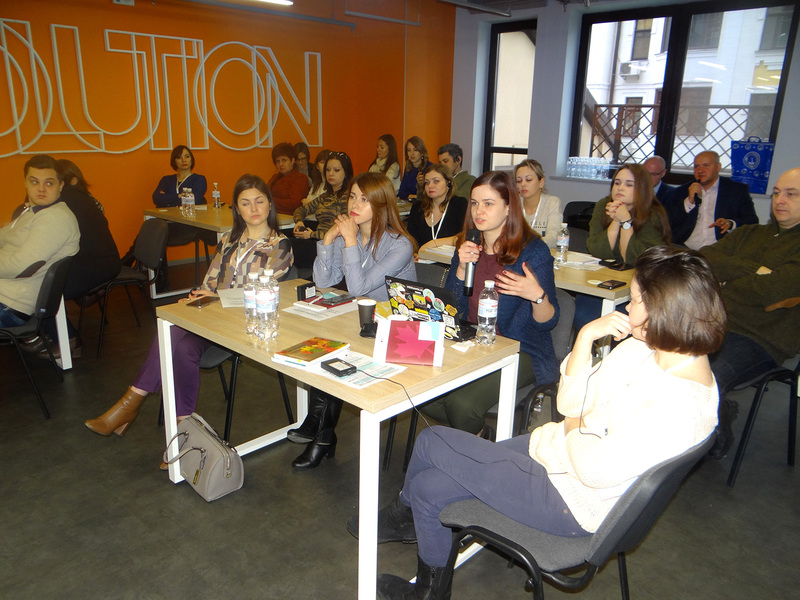 The training helped the participants learn how to communicate with local government officials and how to shape the image of an efficient journalist employing both traditional and new means of press coverage with the use of various information technologies and platforms. 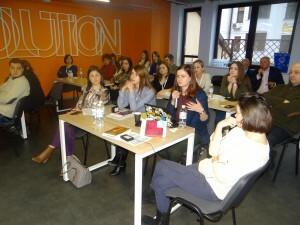 Participants discussed the principles of efficient and ethical journalism in communication with government officials, the use of new media technologies to build a professional reputation, fact check, as well as sensationalism in media coverage. 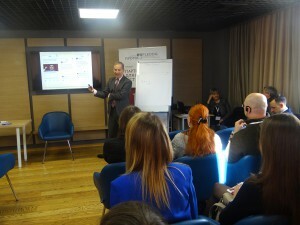 Presentations were delivered by seasoned Ukrainian and international journalists. Michael Bociurkiw, a renowned Canadian journalist and media commentator of Ukrainian descent, spoke to the importance of ethics in shaping a journalist’s reputation and explained the notion of journalism ethics according to the Canadian Association of Journalists and International Organizations. Oleksandr Horokhovskyi, Editor-in-chief of FactCheck-Ukraine – a project focused on the checking of statements made by Ukrainian politicians and opinion makers to determine whether they are true and correct, – presented FactCheck-Ukraine, discussed some “fact check” trends with participants and shared personal stories from his professional experience. 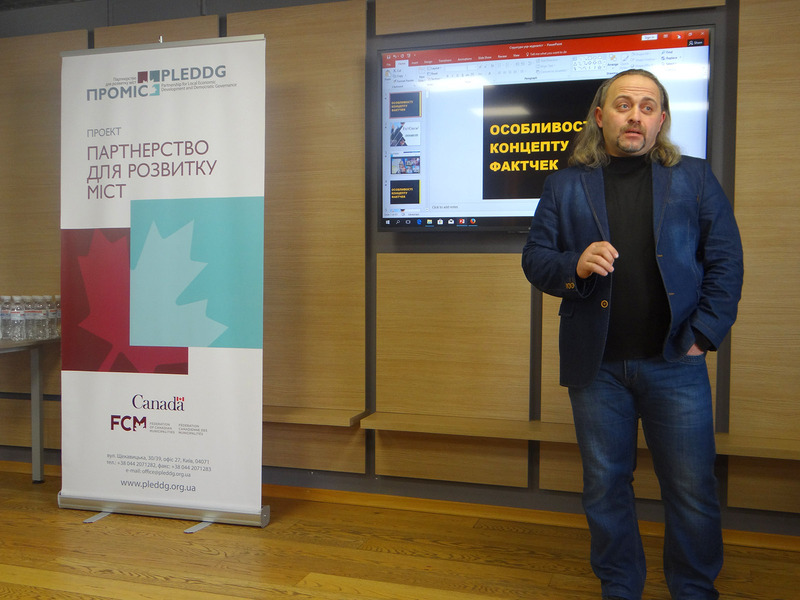 Yurii Blotskyy, Director of Sigma Digital, gave a detailed talk on how journalists could make use of the evident and subtle resources of social media for coverage and information distribution, audience building and engagement. The moderator of the training Andrii Suslenko, PLEDDG consultant and journalist, presented Telegram, an instant messaging platform, whereas Michael Bociurkiw talked about Twitter and its potential to become a powerful media tool.